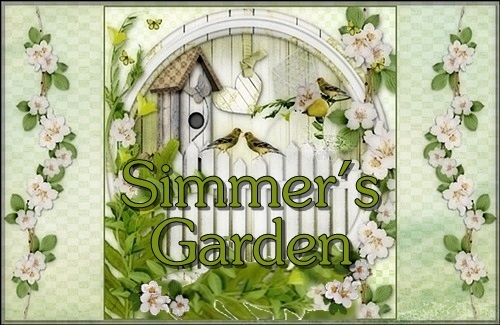 Hello Simmers and cat and dog lovers everywhere! The Sims 4 Cats & Dogs* is just around the corner and we cannot wait to finally put this purrfect pack in your eager paws. We’ve been working on this game for so long and one of the very best features is the new Create-a-Pet. Folks…this version of Create-a-Pet is amazing! • Can we make it as powerful as The Sims 3, but more accessible? • How do we design fur that matches The Sims 4’s art style? • How many breeds can we make? The Sims 3 had so many! • Can we make a splash with a new twist? The Sims 3’s Create-a-Pet had a layer system mimicked some professional graphics tools. But, it was so difficult to use, and we found most players weren’t able to tap into its power. If a great feature falls in the woods and nobody is there to play it, does it make a sound? From the outset, we took the lessons from The Sims 4 Create-a-Sim and applied them to Create-a-Pet. Now, you can click and drag on pets to make their ears longer, their eyes cross, and their snouts longer. It’s fun, and there are so many ways to tweak your pets that it’ll make the version with Sims look tame by comparison. Instead of complicated layers, you can now directly paint on the coat, erase marks, rotate spots, and even tweak things like opacity without having to manage the layers. You can create breeds like Calico Cats or Siberian Huskies with complicated coats just like you could previously. We also added a few tweaks to make it even easier. For example, you can use Stencils! Complicated patterns will blink on your pet. You choose a color, click the mouse, and it’ll fill in the blanks where you click. It’s so easy and fun to create a pet that is unique to you. Matching the art style of The Sims 4 with complex fur wasn’t a small task and it took our team months to find a solution. We wanted our cats and dogs in The Sims 4 to all look more distinct, like their real-life counterparts, but also to have the “body and fullness” that Sim hair has in The Sims 4. To accomplish this, we added “snap on parts” for the pets. Little tufts of hair, beards, and patches of fur to create dynamic and interesting fur patterns. You can especially see this for breeds like the Golden Retriever or Poodle. We spent months studying head shapes, ear shapes, tails, coat colors, and more to find ways to maximize just how many unique, special cats and dogs we can craft. As a result, I can name almost every dog in the game from memory. Test me! Every pet looks so distinct, and now we have a search function to find them. Look for the bizarre, skin-tight Spynx or fluffy Persian. In the canine corner, the Airedale Terrier looks perfect and you can choose from a Pembroke OR Cardigan Welsh Corgi. Every pet looks special, but you’ll find that this isn’t just about looks. When we dive into Live mode, you’ll discover how special and unique they are in behavior as well. Perhaps you want a mutt or mixed breed instead? We love mutts too! With the click of a button, you can choose any two breeds and randomize between them until you get the right features. Which, of course, you can then customize. Two of my favorite breeds are the Labrador Retriever and Australian Shepherd. I love the Breed Mix tool as it lets me get the slick coat of a lab, with the vibrant Aussie pattern. Or, I can hit randomize again to get a fluffier Black Lab with two differently colored eyes. This tool perfectly demonstrates our entire goal with The Sims 4 Create-a-Pet: More power, better looking Pets, easier than ever! Finally, we wanted to do something new. Something special. We wanted to make a splash. Can you say shark costume? Why stop at the water’s edge! Put a piece a toast on your kitty’s head, dress your pet in a taco, or aid their roar with a dino costume. Sure, you can focus on their harness, or collar, but why stop there when you can give your Doberman a fluffy winter cap? You wouldn’t. You are going to have so much fun playing with The Sims 4 Create-a-Pet feature. I am positively typing this with glee because I think it may be the best creative tool we have ever made. Choose from a huge assortment of breeds. Mix them to create the perfect mutt or unique mix. Paint that spot you want in seconds. Dress them in a ridiculous costume. 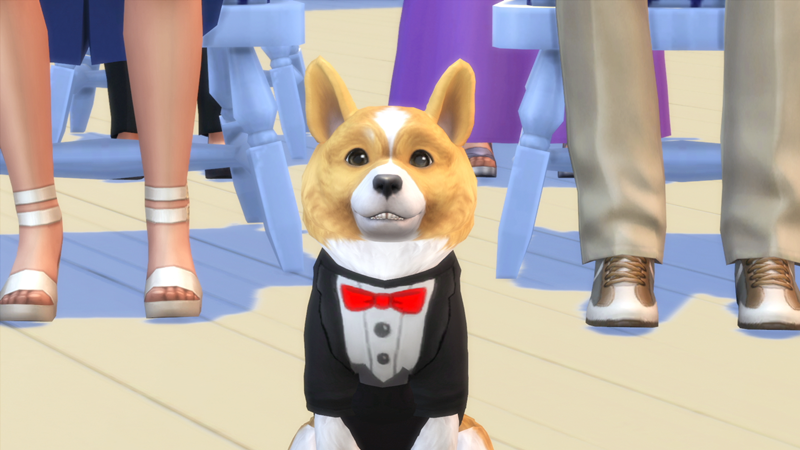 You’re going to love The Sims 4 Create-a-Pet feature when the pack is released this November. Start dreaming of your dream cat or dog right now!